"the Mendips are a classical geological site and the beauty that we see today, and wealth of the wildlife – not to mention the famous caves and pot-holes – depend on the particular geological processes that have shaped the land". 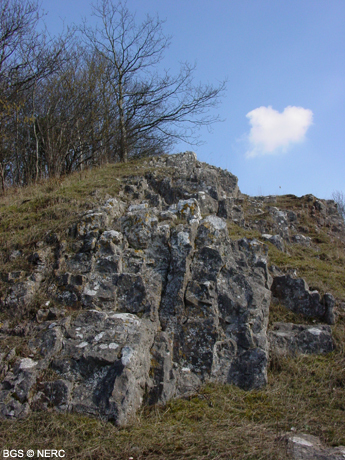 In "New Sites for Old – a students guide to the Geology of the East Mendips". The Mendips have a rich 'geodiversity' which means there is a large range of rock types exposed in a small area. This superb diversity of rock types, ranging from Silurian to Jurassic in age, are exposed in many natural rock outcrops, particularly in the western Mendips where the limestone gorges and caves at Cheddar and Wookey are national tourist icons. On eastern Mendip, natural rocky outcrops are largely confined to the intimate twisting largely wooded valleys and quarries. 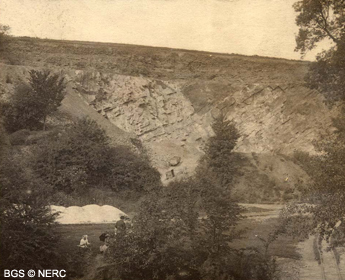 Because of their superb exposures, Mendip quarries have attracted the interest of geologists since geology began as a science in the early 19th century. The classic unconformity section exposed in quarries at Vallis Vale was described by Sir Henry de la Beche in the world's first geological survey memoir in 1846. Another early scientist was Charles Moore who in the 1850s and 60s, examined the quarries at Holwell where he found deep fissures in the Carboniferous Limestone infilled with younger Triassic and Jurassic material. This material contained numerous remains of reptiles and early mammals. He also discovered the Silurian igneous rocks at the core of the Beacon Pericline, which led to the development of Moon's Hill, Downhead and other hard rock quarries. 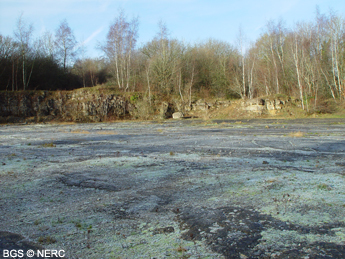 Some sites, notably at Tedbury Camp Quarry, have been cleaned up in the past to allow safe access and display the geological features to their best advantage. In recognition of their geological value, in recent times the Mendip quarry companies have developed a very close and proactive relationship with visiting groups and the public, probably better co-ordinated than any other area in the UK. In particular, Hanson pioneered a visitor friendly approach with their East Mendip Study Centre. Foster Yeoman Ltd. (now taken over by Aggregate Industries), the operator of Torr Works quarry has also been innovatory and, like Hansons has offered pre-booked visits to individual members of the public. Although these services are geared mainly to schools and colleges, geological and other interest groups are also hosted. Several quarry companies are combining forces to invest in a new education centre, which is being planned just south of Stoke St Michael. The quarry companies have also facilitated a 'Geodiversity Audit of Active Aggregates Quarries' in the region, including Whatley, Colemans, Torr Works, Gurney Slade, Halecombe, Moon's Hill and Dulcote quarries. In 2004, detailed examination of numerous geological features at each of these sites was recorded and reported and is available as a CD from Somerset County Council (see their website for details).